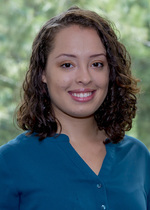 Sophia Burns holds a Bachelor’s degree in Urban Studies, with multidisciplinary concentrations in Political Science and Geography from Vassar College. As a member of the Young People For (YP4) 2017 fellowship cohort, she is developing the Resilient Youth Collaborative, a network of support and empowerment for children of incarcerated parents. She looks forward to beginning her term as a Partners for Justice Advocate at the Alameda County Office of the Public Defender in Oakland, California in September.